Coletta V. Schmitt, age 94 went to be with the Lord on Sunday, October 9, 2016. Coletta was born in the Town of Belgium on June 4, 1922 to Nicholas and Susan (nee Mayer) Bichler. She was united in marriage to Clarence Schmitt on June 6, 1942 at St. Nicholas Church in Dacada. Coletta was a loving sister, mother, grandma, and great grandma. 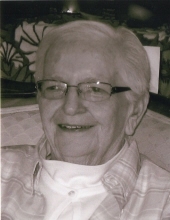 She was involved in various organizations throughout the years which included the Christian Women, Hamm-Miller-Diedrich Legion Auxiliary Post 145, Random Lake Senior Citizens, and the Catholic Knights Branch 164 where she held the position of secretary for 40 years. She worked for Gilson Brothers for 16 years and also was employed as a cook at a number of restaurants over the years. She enjoyed reading books, baking cookies, and crocheting afghans and doilies. Above all, she loved and cherished her family, her faith and her church. Coletta is survived by her children: John (special friend Terry), James (the late Lynda), Ruth (Mark) Seider, Andrew (Valerie) and Rose (Wayne) Vander Velden, Grandchildren: Julee, Beth, Courtney, Carl, Karen, Kathleen, Dreher, Stephanie, Alyssa, Amy, Nicholas, Aaron, Peter, Sam, Kate and Tony, Great Grandchildren: Joshua, Jeremy, Ashley, Eve, Calista, Tyler, Nathan, Jack, Jesse, Paul, Paige, Cohen, Brycen, Jett, Nate, Adia, Oliver and Mara, sons-in-law: Lyle Dysert and Hank Beeman, brothers: Robert (Mary Jo), Nicholas (Mary Ann), Thomas (Bonnie), sisters: Sister Phillip Neri and Mary (John) Schmitz, brother-in-law Elden (the late Rita) Mondloch and sister-in-law Barbara (the late Francis). Coletta is preceded in death by her husband Clarence Schmitt, daughters: Suzanne Dysert and Rita Beeman, daughter-in-law Lynda Schmitt, grandchild Danielle, brothers: Cletus (the late Georgia), Vernon (the late Mildred), Clemens (the late Geraldine), Gregory (the late Terry), Claude (Marcia Fenner) and Francis (Barbara), sisters: Rita and Dorothy. A Mass of Christian Burial will take place on Thursday, October 13, 2016 at 6:00 PM at Our Lady of the Lakes Parish - St. Mary’s Chapel, 230 Butler Street, Random Lake. Father Richard Cerpich will preside. Visitation will be held from 4:00 PM until the time of Mass at 6:00 PM. Coletta will be laid to rest next to her husband at St. Nicholas Cemetery the following day at 10:00 AM. The family would like to extend a special thank you to the staff at Gables on the Pond and the St. Nicholas Hospice for all the care and compassion they provided Coletta. The Eernisse Funeral Home is honored to serve the family. To send flowers or a remembrance gift to the family of Coletta Veronica Schmitt, please visit our Tribute Store. "Email Address" would like to share the life celebration of Coletta Veronica Schmitt. Click on the "link" to go to share a favorite memory or leave a condolence message for the family.